Well can you believe we are in October now? October welcomes in the tenth post in our series of illustrations from the front over of The Land Girl magazine. 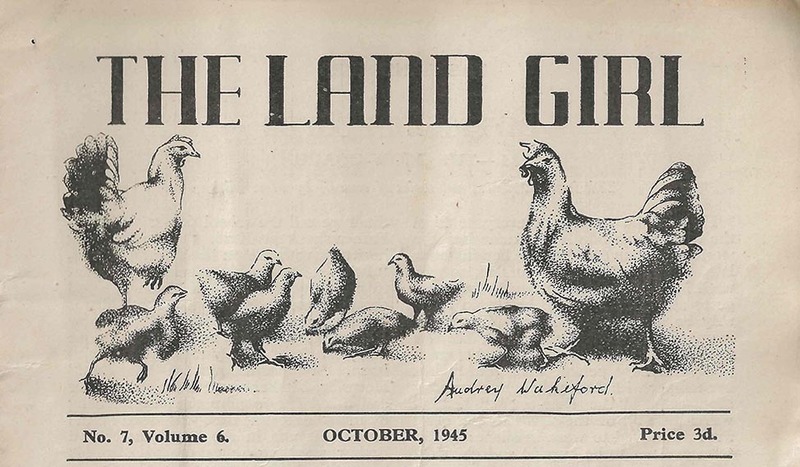 The October editions of The Land Girl for 1944 and 1945 used two drawings by Audrey Wakeford who worked in Berkshire. 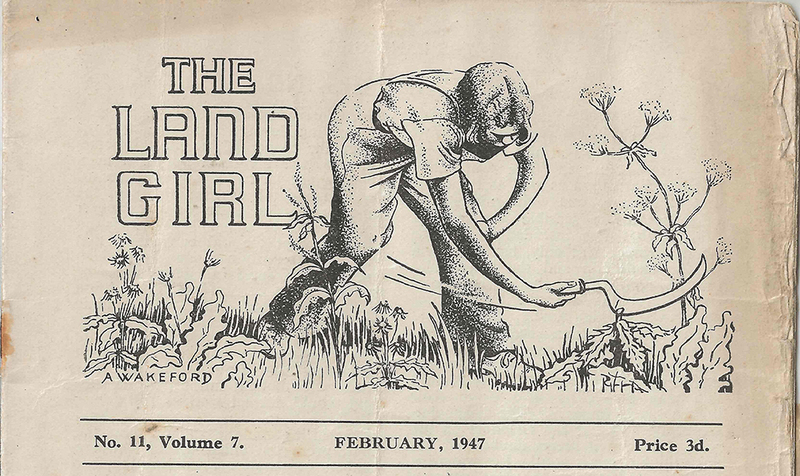 The beady eyed of you might remember that an ‘A Wakeford’ designed the February 1947 edition, which showed a woman using a scythe. 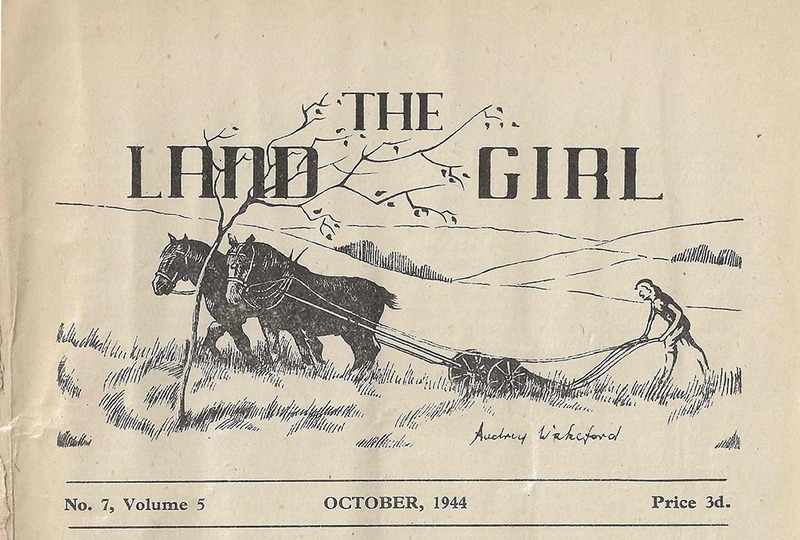 Going back to October 1944, Wakeford draws a common task for a Land Girl, ploughing the fields. 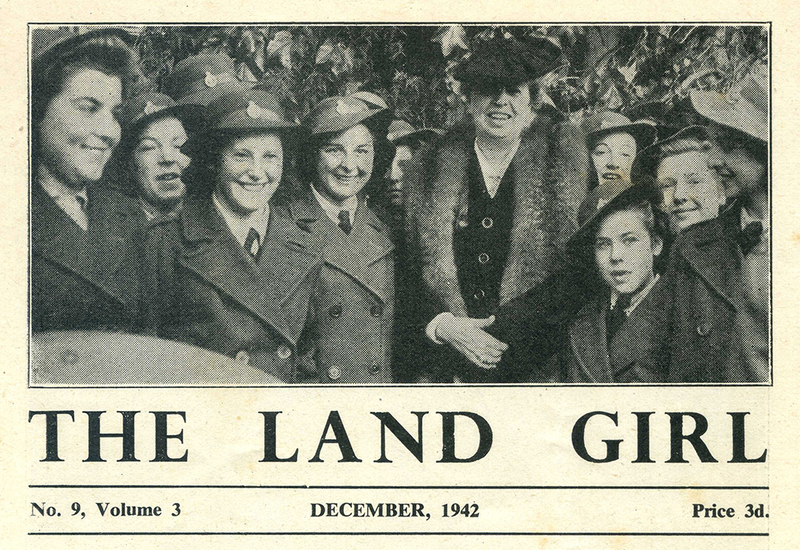 The posture of the Land Girl emphasises the strength that women needed to undertake this task. The clear landscape behind shows her progress in ploughing the fields, suggesting that she might be at the end of her work for the day – or ready to start on another field. She portrays the Land Girls as being in control of her horses and able to carry out this farming task successfully. 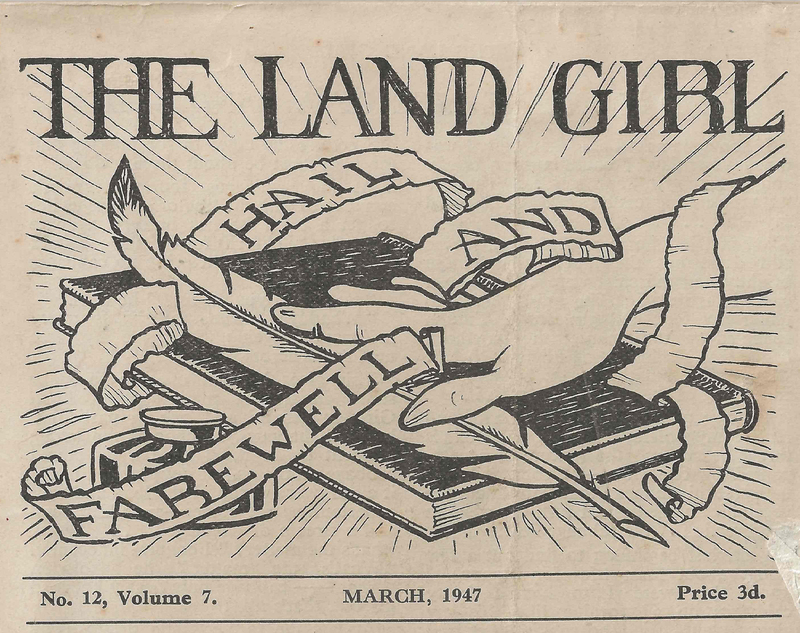 Her design for October 1945 shifts from focusing on the Land Girl herself to poultry. We see here some detailed drawings of hens and chickens at different stages of the life cycle. Land Girls would often be responsible for looking after poultry, showing another area of work where women developed experience during their time in the Women’s Land Army. It appears that Wakeford used her illustrations to highlight the breadth of work expected of women as the war drew to a close.